End of the Year Sales! For the last week of the season, stop in to take advantage of our awesome end of the year sales! 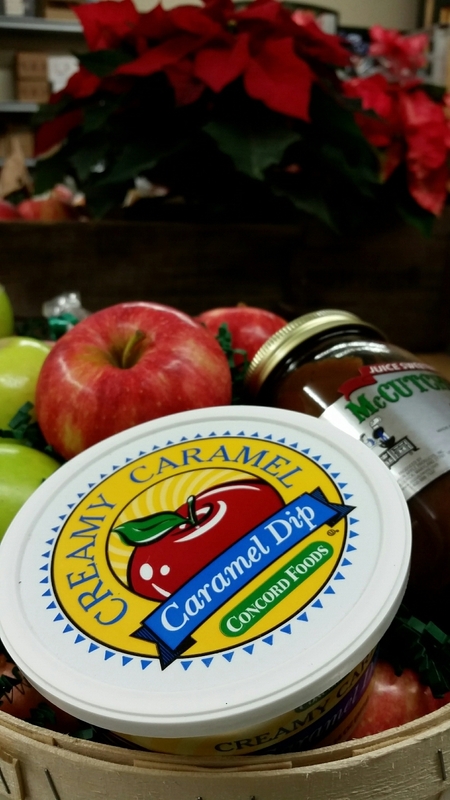 Stock up on homegrown and locally grown produce for the winter, and finish up your Christmas shopping. We're open until December 24th! Trim the tree with vintage inspired glass ornaments, warm and cozy embroidered felt, rustic country themed clip ornaments, elegant snowflakes, or sparkly-Christmas-under-glass style ornaments, just to name a few examples. We have a great selection of affordable gifts at $20, $10, even $5! Our brand new "Cherished Treasures" section is packed with an ever changing variety of vintage and antique items, such as beautiful glassware, bowls, kitchen implements, decorations and furniture. Brighten your home with a colorful poinsettia. Traditional red, festive Glitter (red and white speckles), beautiful white, Marble, Pink, or Picasso (speckled pink) are available from tiny 4.5" pots to impressive 8" pots. A poinsettia can also be a thoughtful hostess or host gift. 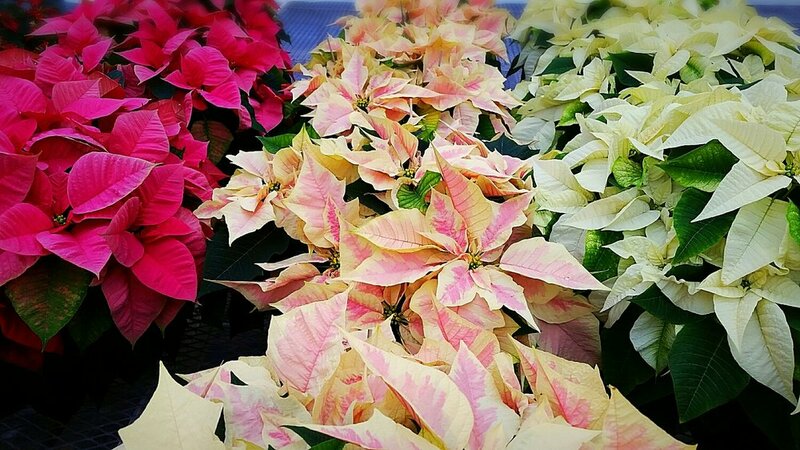 With our many years of experience growing poinsettias, you can be confident in selecting a high quality plant to take home or gift. Below, from left to right: Picasso, a stunning break from traditional red; Marble, Pink, and White; and our 8" pans, a low and wide plant, perfect for centerpieces. Our wreaths are especially thick and fluffy, handmade on extra-sturdy, heavy-duty metal frames. We use a variety of greens from frasier fir, to pine and juniper to create fantastic texture and color variations. Custom order a wreath and we'll create a masterpiece just for you! Our trees are grown right here in the Rochester area. Choose from Frasier Fir, Douglas Fir, or Concolor. Prices range from $20 for small table top trees, to $60 for our tallest trees. A Taste of New York, with Kutter's extra sharp cheddar cheese, local maple sugar candy, and Seward's chocolate Santas.